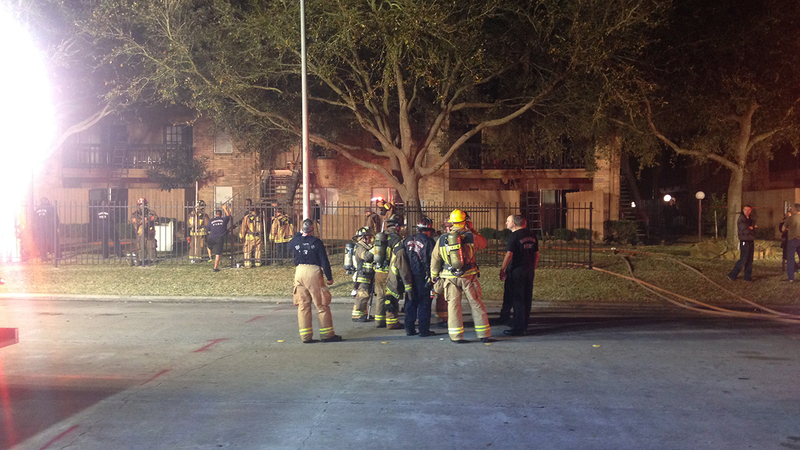 HOUSTON (KTRK) -- Firefighters have tapped out a two-alarm fire at an apartment complex in southwest Houston. The fire started around 7:30pm in the 10500 block of Turtlewood. The fire was upgraded to a one-alarm a few minutes later and upgraded again around 8:45pm. Firefighters finally were able to get it under control and extinguished about 40 minutes later. No injuries were reported, but a cat was rescued and treated. It's still unclear how much damage the blaze has caused.